This study evaluated the humanistic burden on caregivers of patients with advanced non-small cell lung cancer (aNSCLC) as the disease progresses. Data were drawn from a cross-sectional study of patients with aNSCLC and their caregivers conducted in France, Germany, and Italy between 2015 and 2016. Data were collected by medical chart review and patient and caregiver questionnaires. The EuroQol five-dimension three-level (EQ-5D-3L) was used to evaluate patient and caregiver health status. Caregivers also completed the Work Productivity and Activity Impairment (WPAI) questionnaire and Zarit Burden Interview (ZBI). The population for the analysis consisted of 427 caregivers (mean age 53.5 years; 72.6% female; 54.9% spouse; 36.2% in full-time employment) and 427 matched patients (mean age 66.2 years; 68.6% male). Most (69.5%) patients were receiving first-line therapy for advanced disease. Patients’ caregivers provided a mean of 29.5 h of support per week. Significant differences in EQ-5D-3L scores were observed between caregivers of patients receiving first and later lines of therapy in France (0.87 vs. 0.78; p = 0.0055). Among employed caregivers, overall work impairment was considerable and ranged from 21.1% in Germany to 30.4% in France and 29.7% in Italy. Caregivers of patients receiving later lines of therapy in France rated their own health status as significantly worse than did those caring for patients receiving first-line therapy (82.7 vs. 72.9; p = 0.0039). 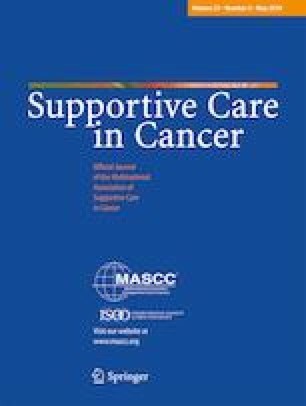 Informal caregivers provided the majority of support for patients with advanced NSCLC and their caregiving activities impose a significant humanistic burden. Editorial support was provided by Dr. Tracey Lonergan (High Peak Communications) funded by Bristol-Myers Squibb. This research was funded by Bristol-Myers Squibb. The study protocol was approved by a central Institutional Review Board (Freiburg Ethics Commission International—Ref 015/1196). Robert Wood and Gavin Taylor-Stokes are employees of Adelphi Real World, a consultancy to the health insurance and life science industries. Michael Lees was an employee of Bristol Myers Squibb, the sponsor of this research and a global biopharmaceutical company that researches and develops medicines for NSCLC, at the time the study was conducted.